R.L. 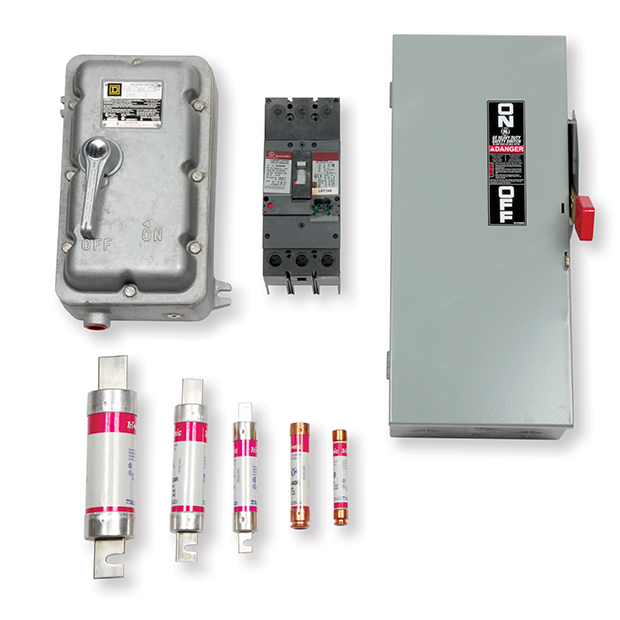 Cook maintains an extensive multi-brand inventory of both contemporary and original design circuit breaker styles. We also carry circuit breaker accessories and enclosures. We stock fuses for many applications. We have fast-acting, slow-acting, rejection and renewable styles. Related items stocked are fuse blocks and fuse reducers. Circuit Breakers are re-usable over-current protective devices that open a circuit automatically at a predetermined over-current state. Fuses are over-current protective devices with a fusible link that melts and opens a circuit on an over-current condition. Disconnect switches are used to periodically remove electrical circuits from their supply source; we stock both fused and non-fused disconnect switches.